To mark her birthday anniversary, the wife of the Osun state governor, Mrs. Kafayat Oyetola organised a free medical outreach programme spearheaded by her nongovernmental organisation, Ilerioluwa Development Initiative (IOD-Initiative). No fewer than 100 persons benefited from the free health scheme which took place at Comprehensive Health Centre Iragbiji, Boripe Local Government area of the state. Being an NGO that caters for social , economic and medical needs of the citizenry in Osun state, Nigeria and the world at large, many residents were diagnosed and treated of their ailments. Basking in the euphoria of her nativity's anniversary, the Governor's wife sponsored the surgical bills of the people who are suffering from one severe ailments or the other. The ailments included Hernias, Hydroceles , Lipmas, Lumps and Abnormal skin growth among others. Speaking at the programme, the birthday celebrant said she decided to give back to the society by the medical outreach in order to appreciate God's goodness in her life. According to her, she has been engaging in humanitarian works ever since the emergence of her husband as the Governor of the state. She said the free health programme was significant to human existence, thus, its necessity. 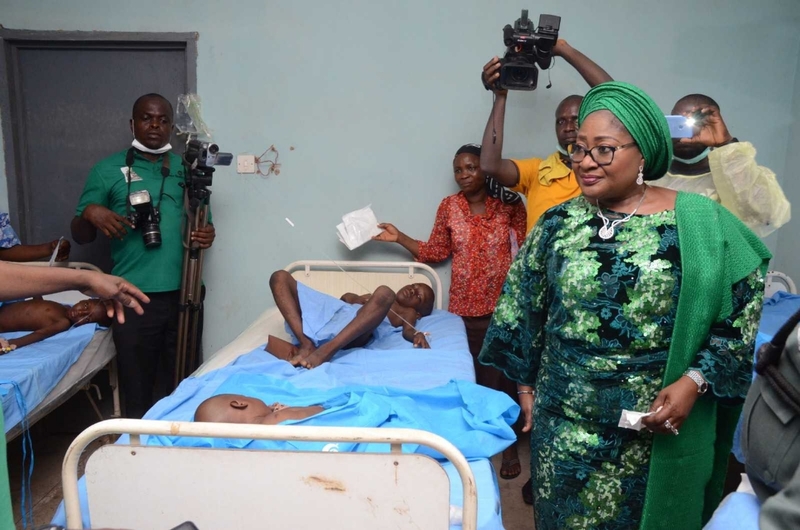 Appreciating the President and members of the Hope Float Initiative and all other medical personnel who have volunteered to be part of the programme, Mrs Oyetola urged the beneficiaries to take more care of their health. She said the NGO is committed to the provision of health, promising that no citizen would be left out. "We are determined to follow this doggedly especially for the benefit of our women and children. We consider health as a major social protection factor that would enhance better living standard for everyone in this state. It is when we are in good health that we can generate great economy for our state". The Osun governor's wife said that before now, IOD-Initiative has undertaken quiet a number of medical interventions for individuals. These interventions are in the area of intrusive surgical needs and mental health. With great gratitude to God, all the interventions have been very successful and beneficiaries living well"
Speaking, Dr Femi Ajetunmobi, the Coordinator of the Health Mission appreciated the first lady for her great vision and passion and for her humanitarian service to the well being of the people of the state. He said the gesture would no doubt alleviate problems of the beneficiaries ,praying God to continue to provide for the first lady in all her endeavours. 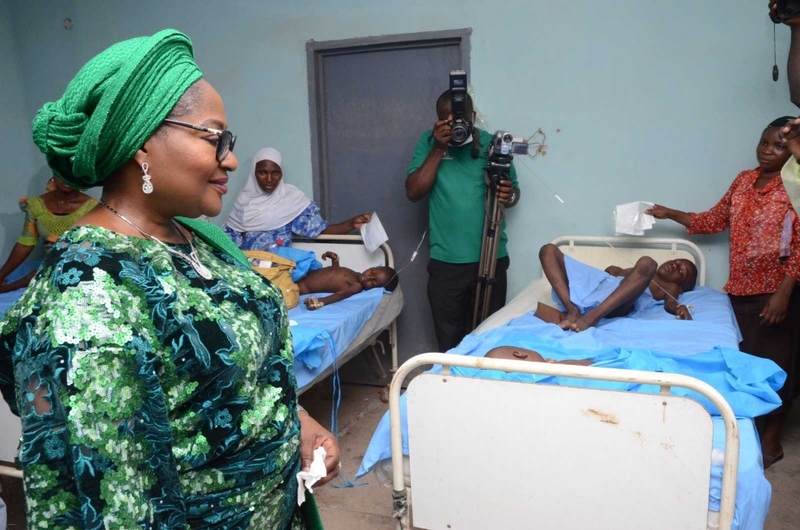 Echoing a similar view, the immediate past of Commissioner of Health , Dr Rafiu, praised the first lady for celebrating her birthday in a way to positively impacted into the lives of people. He said, though, many celebrate their birthday winning and dinning , saying birthday signifies a day of reflecting into the past and planing a new year to come. He said all the people who show up for the medical mission were attended to with the increased more than expected.